In May, we did a survey of our subscriber list and the #1 topic you want to know more about is networking. Dang, are we good at responding to your whims and desires! Welcome to July – we’re bringing you a whole month of content on networking! Here’s our first post about networking your way into consulting. Before we get started, check out our core post on networking the “normal way” – at info sessions and through target school types of recruiting opportunities. Think of it as a 101 on consulting networking. Also, listen to our podcasts (part 1 and part 2) with answers to networking questions we got from readers. We really talk specifics, from the steps you take to turn a cold call into a warm call, to dealing with awkward/unhelpful alumni. Below, we go into much more detail on some of the how-tos of leveraging your existing network – even if you’re not from a target school or you’re mid-career. Now, let’s introduce some new vocab. Your asset file consists of the names of anyone and everyone who can help you – either directly or indirectly – get a job in management consulting. It’s made up of the key people in your immediate network, plus the networks of those people, and so on. In short, it’s your 6 degrees of separation to an insider track. To illustrate: Bill is one of your best friends from college who works at General Electric – he’s in your immediate network. 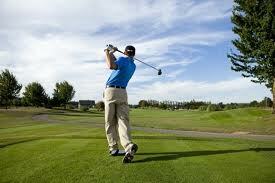 Bill’s dad, Gerald, plays golf with Lou, a consultant at McKinsey. You want to find a way to meet Lou – you want him in your asset file. Even if you’re just out of college or grad school, with little to no professional experience, you’ve built a network of assets that are just waiting to be tapped, whether you realize it or not. The whole point of building your asset file is to connect with a specific person at a target firm. You’ll use your asset file to gain access to recruiters, consultants, etc. who are in a position to offer you an interview or at the very least give you up-to-the-minute information on recruiting cycles or tailoring your resume/cover letter for their specific firm. Note to consulting wanna-be’s, especially from non-traditional tracks: in 9 out of 10 cases, this contact will make the difference between getting an interview or not. For those of you who are impatient or overwhelmed right now by a brainstorm and want to put your thoughts down immediately, sign up for Networking for Consulting – the most comprehensive online video course on networking around, which includes a how-to on building your asset list. To go about building (or just organizing for some of you) your asset file, first list those contacts you already have. Now that you’ve got the obvious taken care or (family, friends, etc. ), attack these resources for gaining access to new contacts. Use LinkedIn’s company search to look up a company (example: Bain) and find people who work there. You are most likely linked to at least one person at the firm through a 2nd or 3rd degree link. Your goal is to get an introduction for a warm call or informational interview. Use tact when asking a connection to introduce you to one of their contacts, and be specific about why you’re making the request. Use LinkedIn’s company profiles to identify recruiters who are open to networking and sourcing opportunities. Click here to see Bain’s LinkedIn profile. Refer to specific job postings (under the Careers tab on the same company profile site) when contacting a recruiter. Use LinkedIn to broadcast your job search or networking requests to specific groups that you’re a part of (for example, your university alumni group, or networking groups for asset management professionals). Click here for the Groups Directory. This is key – have a top-notch consulting resume ready to go so that you’re able to respond immediately when a door does open for you. Many professors have part-time consulting gigs or prior consulting experience. If you’re still in school – target or non-target, MBA or undergrad – take their classes and build a relationship with them. They will carry a lot of sway and may plug you into their professional networks. They may even have a project they’re working on that could use an intern or research assistant. Yup, just do a plain ol’ Google search on a person’s name, title, firm, affiliation, etc. Your goal is to get relevant information that you can use to make a cold email sound like a warm email, and to target the email at someone specific at the firm. Your sweet spot is someone not too senior and not too junior – you want them to have influence but not be too busy or important to respond to your inquiry. For example, the top result from a search on “recruiter at A.T. Kearney” is a personal welcome letter from the A.T. Kearney School Manager to the Kellogg School of Management with first and last names of 4 current professionals at ATK. Doesn’t matter that you didn’t go to Kellogg, but especially if you live in the Chicago area – or want to work there – use LinkedIn or the standard ATK email moniker to write an email to one of these target people. Voila. Draw on members of consulting diversity groups you may be affiliated with – military, minority, LGBT, women, etc. With a shared background or interest, you’ll find it’s easy to break the ice – and they’re happy to help with interview prep, referrals, and fast-track recruiting. Using Bain as an example, there are 5 diversity groups, each with their own steering committees. The function of the groups is to provide support to prospective consultants and current employees and each has their own dedicated email, which goes to a member of the firm – often the leader of the group. You’ll be surprised at how welcoming and responsive they are, especially to a well-written email. As an important note, these groups aren’t the “affirmative action” wing of the firms, so don’t expect special treatment throughout the whole recruiting process. 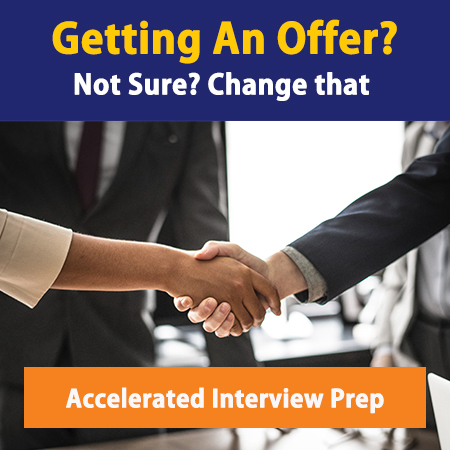 In fact, for any opportunity that you receive by referral, you still have to nail your interviews just like anyone else – but it’s a great way to get your foot in the door. The key with alum networks is to engage as early as you can – that means while you’re still in school, as early as your freshman year (or first year grad/MBA), or even before your coursework starts. Most career centers offer services to connect you with alumni in your area of interest, your city, your…you name it. You can attend alum sessions at school, access alum databases, or show up at alum happy hours. Don’t underestimate the value of adding these folks to your asset file. They’re also moving along in their career – who knows where they’ll be in 2-3 years! Alumni networks are a great search tool to use inside LinkedIn. Join your alum group or reach out to individuals directly. In fact, one of our premium clients used his admission to Columbia to get a job at an energy sector consulting firm before he even started his part-time MBA program. How? He started with a search for Columbia alum on LinkedIn, and it snowballed from there! If you’ve already graduated, make sure you’ve joined or at least accessed your alumni network – both undergrad and grad. If you want to cut to the chase, go directly to the alum coordinator at your school – they love connecting alum on prospective job opportunities. If you’re targeting a specific city, another option is to contact the chapter president for that area directly. Most big cities (SF, NY, DC, London, Paris, etc.) have a dedicated chapter. Join a couple of the biggest, most prestigious business-focused clubs at your school, like University of Berkeley Haas Consulting Club, Caltech Consulting Club, or Hong Kong University Consulting Club. This will help build your student and professional networks, and put you in front of potential employers. You’ll also get acclimated to the recruiting process and its components (e.g., resumes, interviews, etc.) at an early stage and have great experience to add to your resume. If you’re still in school, attend every one of these you possibly can. Introduce yourself and talk to people (but don’t spend longer than 10 minutes with any one person). Make an impression on consultants involved in the recruiting process – get to know the consultants, not the recruiters (they play a limited role in the decision-making process). Follow my advice on exactly what to do at the information sessions. Duh. The best way to get a job at your target firm is to get an internship there. If you’re among those who didn’t land their first choice firm, but did get an internship that lets you rub shoulders in the industry, here’s my advice – build a relationship with your team leader and the associates and senior consultants on your team – then leverage those to get face time with their friends at other firms. Don’t miss out on any events you’re invited to where you may run into consultants from your target firm. One last piece of advice – leveraging your asset file is of no use if you’re not clear about what you want and how your contacts can help you. Have your elevator pitch polished and ready – to include why you want to work in consulting, how consulting fits into your long-term career goals, and which firms you’re targeting. As a reminder, subscribe to our email list and get access to more insider content, reader specials, and sneak previews of products like our Networking Course, which includes a tool to build your own personal consulting asset file.